The Bachelor 2015 spoilers already announced the putative Season 19 winner but perhaps that information is false and Chris Soules final rose recipient is Ashley Salter? Season 19 of The Bachelor features a pretty diverse group of ladies, but Ashley Salter seemed to stand out for her strange behavior on The Bachelor 2015 Chris Soules episode 2 leaving many thinking she was crazy, and leaving Chris Soules apparently wanting more. Everyone has been talking about Ashley’s odd behavior—both on the show and off, labeling her as completely crazy. But is she? For every peculiar antic, Ashley Salter gained more screen time, and even scored herself more time with Prince Farming Chris Soules when she interrupted a conversation he was having with bachelorette Brittany so she could have him to herself. For every awkward moment Ashley created, she gained more air time, and is quickly becoming the standout bachelorette despite whether folks love her or think she’s crazy, and that was just the angle she was going for. Let’s face it, who really participates onThe Bachelor show to find love? Would you use a dating site, for example, that had the worst record of match ups ever? It is somewhat the same thing considering the show’s track record for making happy couples. It seems more about making one’s fifteen minutes of fame, and a little hometown notoriety than anything else. Ashley likely went in prepared, knowing finding love was unlikely, but ready to make the most of her camera time for as long as she can. Ashley is obviously a smart girl who reportedly graduated from Auburn University. There has been some mystery around her background, however. While she lists herself as a hairstylist from Brooklyn, CDL couldn’t find any salon listing her as a stylist. It seems more likely that the Auburn graduate, went to work for Lynx Chemical Group in Atlanta as an Assistant Controller, which Reality Steve’s bio shows for her. Everything seems quite well planned and carefully calculated. Ashley seems to be getting just what she had hoped for. Search The Bachelor online and you will find that all the bachelorettes play second fiddle in the ‘water cooler’ talk about The Bachelor to Ashley. The girl knows exactly what she is doing, and she’s having a blast watching the reaction of all of her competition. Ashley knows that the other ladies will let their guard down around her, thinking she is no competition for them, and that’s when she’ll make her biggest moves yet. 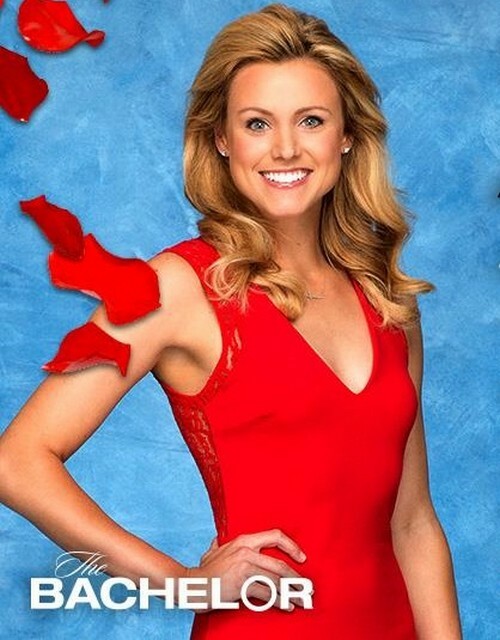 Could Ashley Salter be the The Bachelor season 19 winner? Return to CDL for more The Bachelor 2015 spoilers every day!